They claim to make the best fudge in the world! Need we say more?! Pop along, say hello to the friendly staff and buy loads of chocolate goodies for yourself and your loved ones! Trivia: Fudge Kitchen has been hand making fudge to a recipe dating back to 1830. They currently have 8 retail locations throughout the UK. How popular is Fudge Kitchen? People normally club together St. Augustine's Abbey and The Beaney House Of Art & Knowledge while planning their visit to Fudge Kitchen. 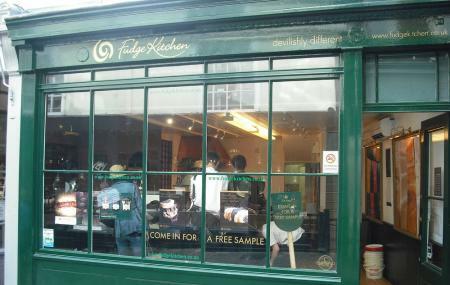 Excellent service and great-tasting fudge. The best fudge, variety of traditional and more modern flavours available. Friendly chatty service. Loyalty card available! The fudge shop is really nice and clean, it is all hand made in store and they have a good variety of fudges and allow you to sample for free, the staff are very friendly, and the fudge is very tasty.